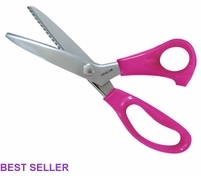 9" Serrated Dura Shears Fabric Scissors for Professionals Scissors for fabric, quilting, embroidery and more at Havel's Sewing. Your source for unique tools for your fabric arts. Are you tired of working with heavy-duty fabrics that won’t quit slipping? 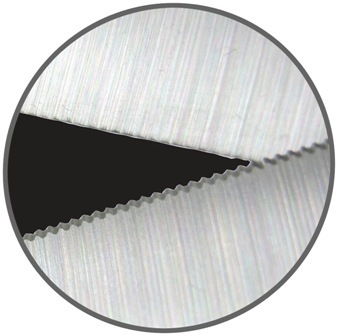 Don’t panic, just grab these 9” serrated Dura shears from Havel’s Sewing! 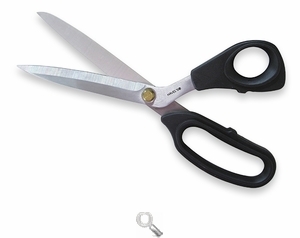 High-quality AUS-8 Japanese stainless steel blades are durable enough to handle the toughest fabrics, from drapes and denim to corduroy and canvas.